We are all familiar with the pleasure and benefits that we gain from keeping a pet, whether this is a dog, cat, rabbit or other animal. However, with a few exceptions, most species of pet animals have a lifespan much shorter than our own, so it is inevitable that one day we will have to say goodbye. Losing a dear pet can be a very traumatic experience. Whether your pet is elderly, or has suffered an unexpected illness or accident, they have been a part of your life and it is natural to grieve for them. Everybody feels the loss of their pet in a way personal to themselves. Your feelings will also depend on the circumstances of your pets’s death. It can be very distressing to witness injury or illness in a pet that you love, or to have to consider euthanasia. There may also be the possibility that treatment is available but for financial or other reasons you decide not to proceed. We consider it very important to look at the pet’s family situation and help you make the decision that is right for all of you. 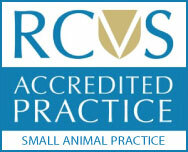 At Valley Vets, we would like to do all that we can to make this sad time easier for you. Although there is now a huge amount that can be done for sick animals, unfortunately there are still some conditions for which there is no cure. As vets, our primary concern is the welfare of animals under our care and we may therefore recommend euthanasia as an option for ending the life of your pet to prevent pain or suffering that cannot be relieved in any other way. We understand that making the decision to euthanase your pet can be very difficult indeed. Please feel free to discuss your pet’s case fully with a veterinary surgeon, or veterinary nurse. We always have your pet’s interests at heart and whatever your decision, we want you to feel that you are making the right decision for you and your pet. You will be asked to sign a form giving your consent for the procedure and informing us what arrangements you would like for your pet’s body after euthanasia. The procedure itself usually only lasts a few minutes. We administer an overdose of an anaesthetic drug, usually injected into the vein in your pet’s front leg. The injection is painless and sends your pet to sleep within a few seconds. Within a few moments, the body functions such as breathing and heart rate slow down and then stop altogether but the eyes usually remain open. Sometimes, reflex actions such as passing urine, muscle tremors or gasping may occur. These can look a little distressing, but are part of the body’s passing and your pet will not be aware of them happening. Some people choose to stay with their pet during the procedure and to spend a few minutes quietly with their pet afterwards. Others prefer not to be present and leave once consent has been given. Please let us know which you feel most comfortable with at the time. Some of our clients prefer to say goodbye to their pet at home. Please ask for details of our home-visits. Why Must a Nurse Hold my Pet? It is important to us that this procedure happens quietly without stress to your pet. Our nurses are experienced in handling animals calmly and safely, while steadying them for the vet’s injection. You are welcome to stand with the nurse and stroke your pet, or speak to them, to reassure them during the injection. If your pet is frightened or nervous at the vets, or dislikes being held closely, you may like to ask the vet about a sedation. A sedative injection may be given under the skin which will cause your pet to become very sleepy and calm within ten to fifteen minutes. The euthanasia injection can then be administered with minimal restraint when you are ready. What Happens to my Pet After Their Death? Some people find comfort in knowing that their pet lies at rest in a favourite location in the garden. However, this option may not be suitable for everybody as the practicalities mean that the grave must be of sufficient depth to prevent the body being disturbed and must not be close to a watercourse or stream. Home burial is not recommended if your pet was suffering from an infectious disease at the time of death. If your pet died at the surgery and you need time to prepare a grave, please let us know and we can keep your pet’s body chilled until you are ready. For many years, we have worked with Summerleaze Pet Crematorium in Magor, Newport. They have provided a caring and sympathetic service and we are happy to recommend them to you. Summerleaze collect deceased pets from our surgery and transport them to the crematorium. Please ask our staff for a Summerleaze Pet crematorium brochure, if you would like one. You may wish to have your pet’s ashes returned to you for keeping or scattering. This option is available via the surgery whether your pet died at home, or at Valley Vets. Ashes are returned within 1–2 weeks in a vessel of your choice and are accompanied by a certificate. There are a variety of different vessels for you to consider whilst making your decision. Please ask for a brochure. Alternatively, you may choose to take your pet to Summerleaze crematorium yourself. What Bereavment Support is Available? You may find it helpful to speak about your feelings to someone who understands how important your pet was to you. This may be a member of the family, a friend, or a member of our staff. The following sources of information may also be a help to you. The Pet Bereavement Helpline is a telephone helpline that offers compassionate support for those grieving for a loved pet. Their confidential be-frienders can be a great comfort during distressing times. www.bluecross.org.uk or tel: 0800 096 6606. The Ralph Site is a wonderful source of information, inspiration and support during the difficult period when you are coming to terms with the loss of a loved pet. Rainbow Bridge is a grief support community, for those who are hurting from the death of a beloved pet. The following companies provide a range of products to help you commemorate the life of a special pet. Marble headstones, wooden plaques, china plates with personalised photos. Individual and personal memorials, including statues, paintings and pictures. A large range of urns, caskets and coffins made to your own specifications.